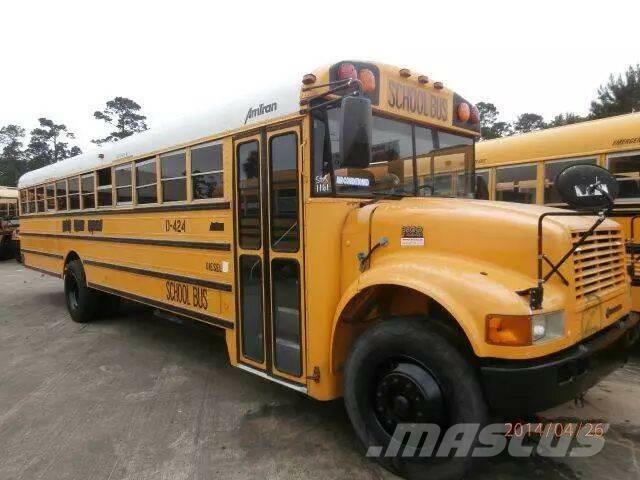 Additional Information 1999 INTERNATIONAL AMTRAN 47/71 PASSENGERS FRONT AND REAR AIR CONDITIONING T-444-E V-8 DIESEL TURBO ENGINE AIR BRAKES ALLISON AUTOMATIC TRANSMISSION Great, smooth shifting transmission. The miles you see are the actual miles for this vehicle. This vehicles interior is clean. Vehicle has never been smoked in. This vehicle does not appear to have been garaged. Overall, this vehicles exterior is clean. Become only the second owner of this vehicle. There does not seem to be any signs of prior damage to this vehicle.